“Setagaya Pan Matsuri 2017” will be held across two days on Sunday October 8th and Monday October 9th. “Setagaya Pan Matsuri” is a local event held in Mishugu that celebrates Setagaya’s bread culture. 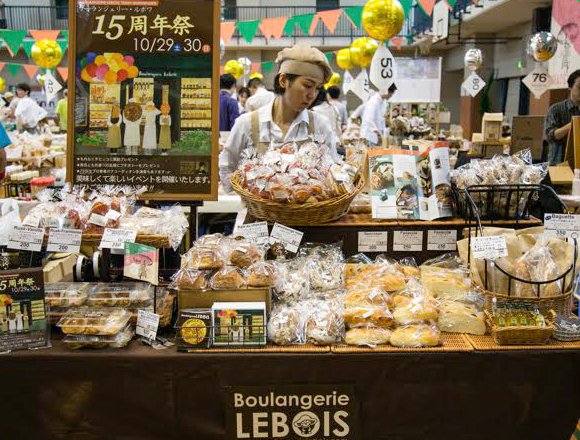 The festival stands as Japan’s biggest bread event and has been held since 2011, growing bigger each year. 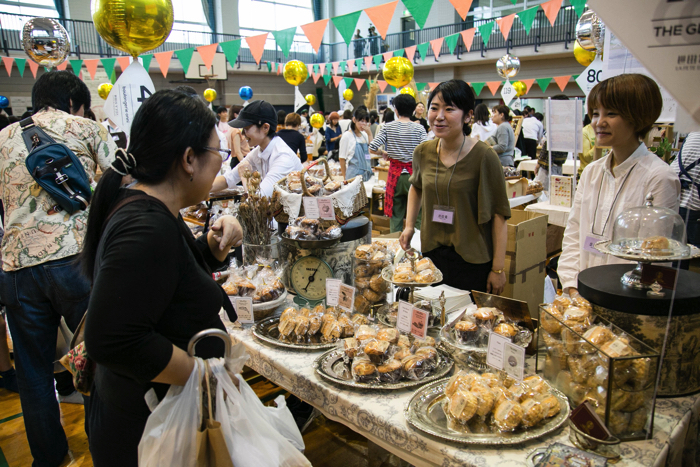 The event takes the form of a market and will be held at Ikejiri Elementary School in Setagaya Park. This year’s festival will see almost 120 shops coming together from bakeries to pastry shops selling breads and drinks. participating where you can get your hands on different breads and pastries as well as drinks to go with them. 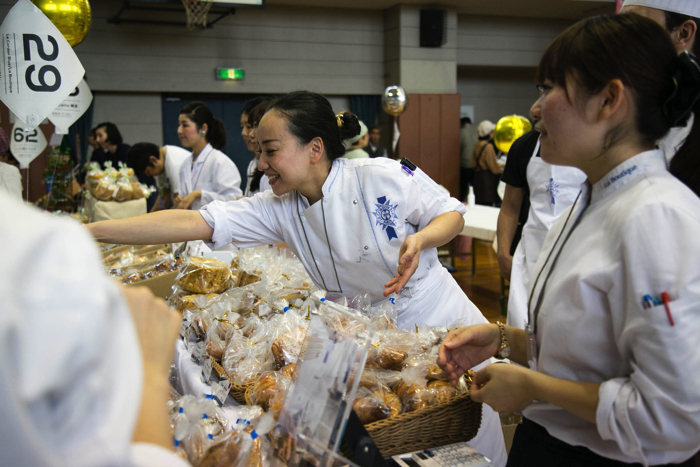 There will also be workshops and talks held at IID Setagayamonozukuri School, which was formerly an elementary school, where up to 1,200 can participate to eat and learn about bread. 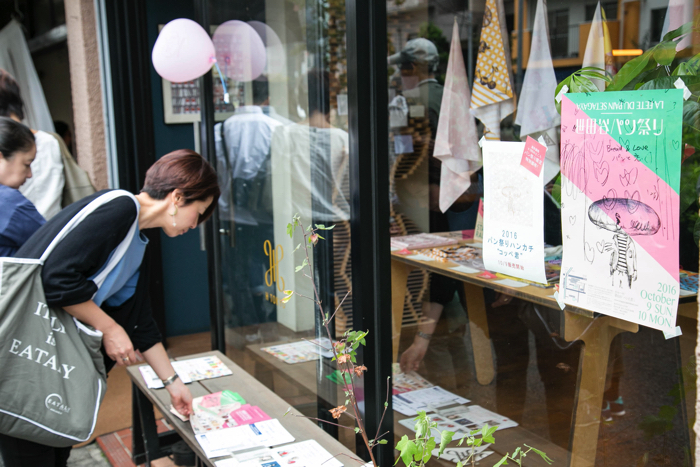 You can also look forward to joining in with the stamp rally where you can collect a series of stamps around MISHUKU R.420, as well as a bread museum you can visit in Setagaya Gayagaya-kan where there will be displays of local breads that you can also buy. Setagaya Pan Matsuri will have the whole area of Mishuku transform into its true form – a bread town – to greet bread lovers. 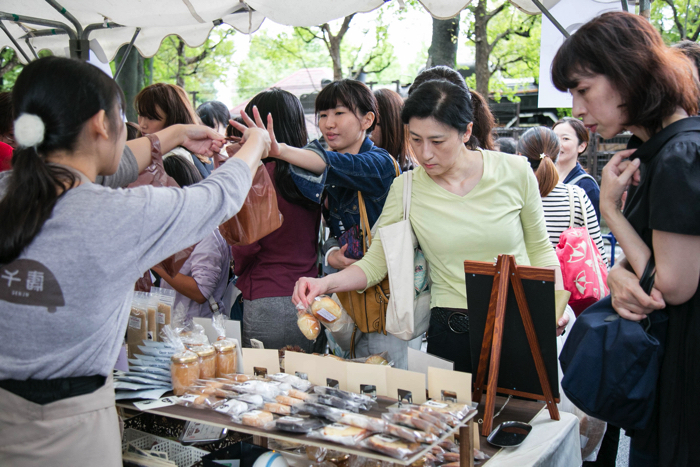 The market at Setagaya Pan Matsuri boasts bakeries ranging from Setagaya’s most delicious to the most popular, as well as hidden ones and those that serve both pastries and drinks. It’s an exciting and bustling market that will satisfy your hungry autumn time tummy. 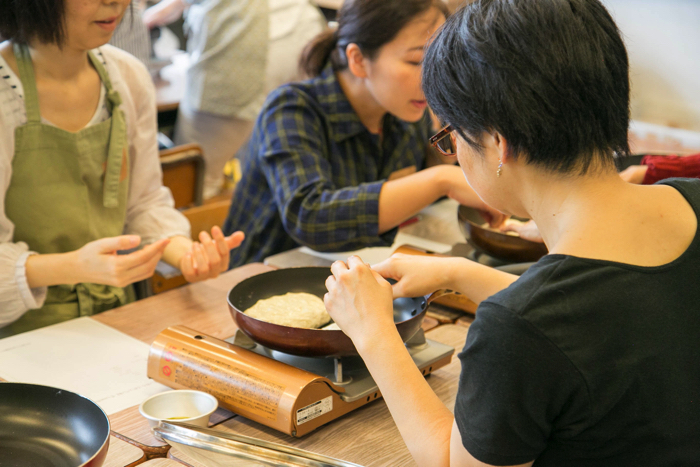 The whole of IID Setagayamonozukuri School will temporarily turn into the “Setagaya Pan University” where you can enjoy and learn about bread under the guidance of the Japan Pan Coordinator Association (JPCA). There will be various lecture, including one where you can eat and compare 8 different breads from 7 different countries around the world, as well as workshops. 1,200 can take part in this exciting program which will take place across the 2-day festival. “Fukuro Bread Museum” – buy it all! 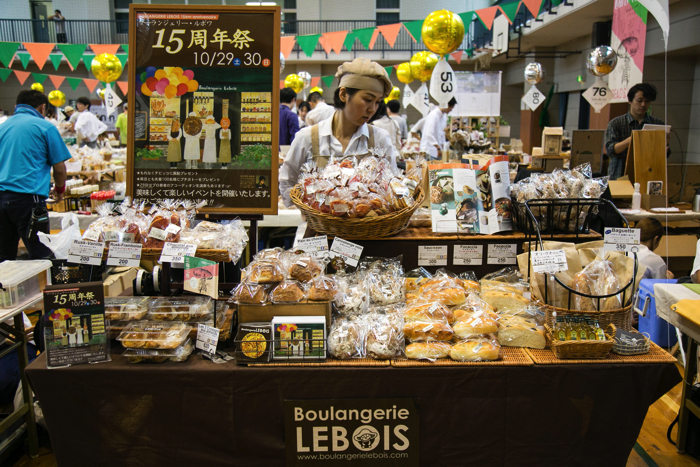 The theme of this year’s festival is “Bread and the World.” Eating pastries from around the world is good too, but it’s important to not forget all of the different local packaged breads around Japan that have continued to be loved for generations. The “Fukuro Bread Museum” brings together 10 different packaged pastries from all around Japan recommended by pastry specialist Hinoyou-san. All 10 of the pastries on display can also be purchased there and then. The annually popular “Mishuku Sanshoku Pan” will be sold again this year! “Mishuku Sanshoku Pan” will also be sold at each stall this year, where participating shops create a limited edition special bread related to the number “3” – such as colours, flavours, shape (triangle) etc. They never fail to sell out each year. There will also be a contest held to pick the best one. *Participating stalls will be announced at a later date. As well as character goods for 2017, this will include merchandise created in collaboration with artists and creators who love bread as well as those who have a connection with Setagaya. Participating Artists: Tsuyoshi Nigamushi, Sakura Fantasma, Keiko Akatsuka (names in no particular order). “Stamp Rally” – Begins on Saturday September 23rd! A stamp rally will be held at participating shops in the MISHUKU R.420 area ahead of the festival where your job is to go around obtaining stamps. Simply collect your rally sheet to be stamped at any participating store and head around Mishuku to rack up points. If you collection enough stamps you can get a limited edition “Setagaya Pan Matsuri 2017” picnic sheet. 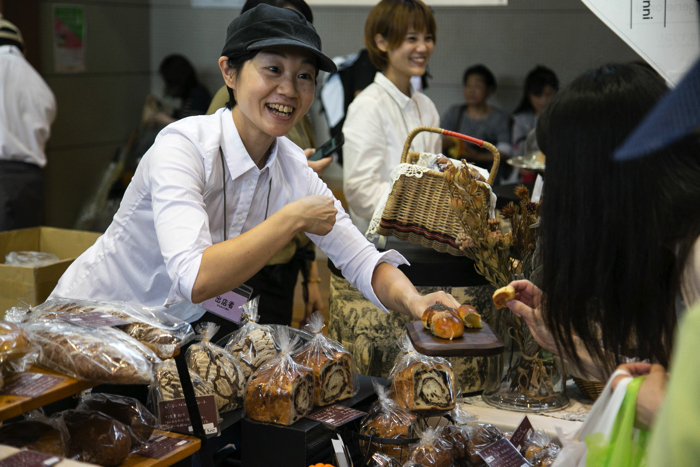 Get involved in the Setagaya bread festival and get your fill of pastries. ※Picnic sheets can be collected at the festival.